After reading my latest post about conflicts of interest in healthcare, my wife suggested that I write a piece about butterflies. Something pretty, she said. Natural. Peaceful. Since hostility is never my goal, I thought I’d give it a try. I read for an entire evening on butterflies–their life cycle, behavior, mechanisms for protection, and how different cultures view them. All I could keep thinking about was how much my grandmother liked them. She lived for nature. Flowers. Birds. Butterflies. She stayed with me once as a child when my parents were out of town. She would literally drive only 10 MPH on the road if anything remotely beautiful were visible out the window. Butterflies included. During her visit that year, I intentionally directed her down the ugliest roads in town so we could get to where we were going more quickly. I know it sounds bad, but that’s what I did. While reading about butterflies, it became quite evident that I know very little about them. At some point, I took a few life science courses in school, but I clearly overestimated their lasting influence. One thing, I did remember. 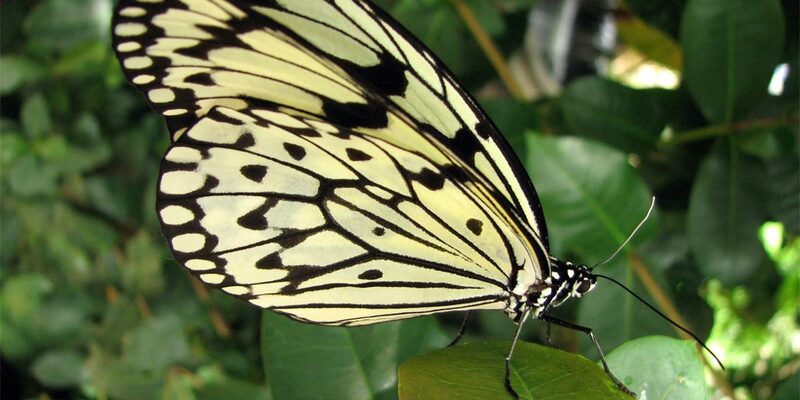 Many butterflies mimic others for their own protection. Basically, one butterfly will “steal” the colors of another. Makes you wonder if patent protection is needed in the butterfly world, or if a freer market is still the best option for them. You see, I can’t even read about butterflies without thinking about medicine, or regulations, or healthcare delivery. Such goes life, where the mind only sees what it is trained to see. Take, for example, the game of chess. You are a grandmaster, the best of the best. I’m skilled at playing, but not like you are. We are involved in an experiment. Images of chess boards are being flashed before our eyes to test our understanding of the game. The images already have pieces positioned in different arrangements on the board, taken from obscure games. The goal is to reconstruct the scenario seen in the images on a blank board in front of us. Remember, you are a grandmaster. Statistically, you have played more hours of chess. The game likely makes better sense to you. You are more skilled. And, it shows. After glimpsing at an image with numerous chess pieces, you accurately reconstruct the scenario on a blank board. But, I struggle at this game. In fact, when given just five seconds to look at the image, you correctly reconstruct as many pieces as I do when provided fifteen minutes to stare at the same photo. But now, let’s add a twist. Images will now depict chess pieces in positions that could not exist in a real game. Pawns in places where pawns could never be. Too many bishops on same colored squares. Stuff like that. We will now be given the same amount of time to recreate the scenarios that we see. But, this time, there’s truly a random assortment of pieces. You ready to play? Wanna know the results of this experiment? The findings are clear. Your advantage, over me, as a grandmaster, goes away. That’s right. We perform the same. You see, grandmasters of chess aren’t necessarily smarter at recalling things or memorizing randomness. They seem to sort arbitrary pieces as poorly as anyone. It appears as if their advantage comes solely from a remarkable understanding of scenarios involving where pieces should go. Yet, when subjected to nonsense games developed by outside parties, even using the same familiar pieces won’t help the grandmasters perform. Their skill will effectively be nullified. And, this, so aptly describes our current healthcare system. Grandmasters are quitting the game or being forced out. Prohibited from doing this. Regulated from doing that. To the grandmaster, the game doesn’t even make sense anymore. Scenarios that should never exist have become the status quo. Electronic health records. These systems weren’t required to evolve and prove their worth to a system before the market supported their acceptance. Our government paid for their forceful implementation. And, this was a costly mistake. Central authorities. When those operating without knowledge of bedside interactions are given power to place pawns where they shouldn’t be, workflow is crippled, not aided. Focus literally turns away from the patients themselves–toward a computer screen of poorly customizable clicks built not to satisfy patient care problems, but rather complex bureaucratic coding schemes like ICD10, the most recent billion dollar acronym project pushed into physician offices by the same central authority. Patient safety organizations. “One of the great mistakes is to judge policies and programs by their intentions rather than their results,” said Milton Friedman. He might as well have been referring to the government-influenced patient safety movement that has essentially just routed unhelpful dollars to more vendors and certifiers. Indeed, the only ones pushing more accreditation and regulation seem to be the Accreditors and Regulators. Insurance companies and the Centers for Medicare and Medicaid Services (CMS). The decision here is straightforward, because the train has already jumped off the track. You just have to decide who you want moving the healthcare pieces on your board. The insurance company? They accept risk for a fee. They do not provide healthcare. The government? They are blindly pursuing an entire system based upon quality of care, yet nobody (government included) has even come close to defining what that means. They have merely sold us on an expensive journey toward a supposedly glorious planet that, in thousands of years of human existence, has yet to be discovered, and truthfully, may not even exist. And, such a journey is founded on erroneous principles. Yes, Friedman has previously given his solutions to all these problems. But, ultimately, we are in this together. Every policy is a trade-off, not a means to utopia. Support influence cautiously, especially when no grandmasters are involved. “If you have ten thousand regulations, you destroy all respect for the law,” said Winston Churchill. In large numbers, even butterflies are viewed by many as bad omens. The first experiment discussed in this post was performed by Dutch chess master and psychologist Adriaan de Groot. The second experiment, which repeated the de Groot experiment with an added “twist,” was performed by psychologists William G. Chase and Herbert A. Simon. Of note, Simon is a Nobel Prize winner. The two experiments are chronicled by David Epstein in The Sports Gene, and Epstein’s book serves as the source for the findings discussed here. As with the butterfly, the only answer is metamorphosis. Physicians need to change from followers to leaders, from practicing socialism to practicing medicine, and from caring for their wallets to caring for their patients. Take back medicine as Dr. Bilhartz espouses. Join the Direct Primary Care movement. It’s as freeing as changing from a caterpillar into a butterfly.